Life is hard for widow, Oona Quinn. She's grief-stricken by the tragic deaths of her husband and five-year-old daughter. While struggling to survive, she meets charismatic Jack Walsh at the shipping office where she works. Vinnie Kelly, her son's biological father, just out of jail, sets out to destroy both Oona and all she holds dear. Haunted by her past, she has to fight for her future and the safety of her son, Sean. But Vinnie has revenge on his mind . 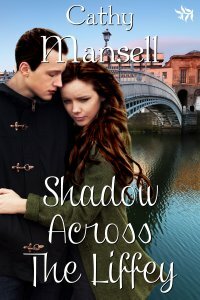 . .
Log into Cathy Mansell's page on Tirgearr Publishing for an excerpt.